If I could have this every night for dinner, I think I would. This little dish has it ALL. The burger coupled with the sauce, and the sweet potato rounds – no words. I have no words. The sweet potatoes were actually supposed to be chips, but I cut them a bit too thick, and really loved them just the way they were! So, if you want them more like chips, slice super thin and cook until crispy. 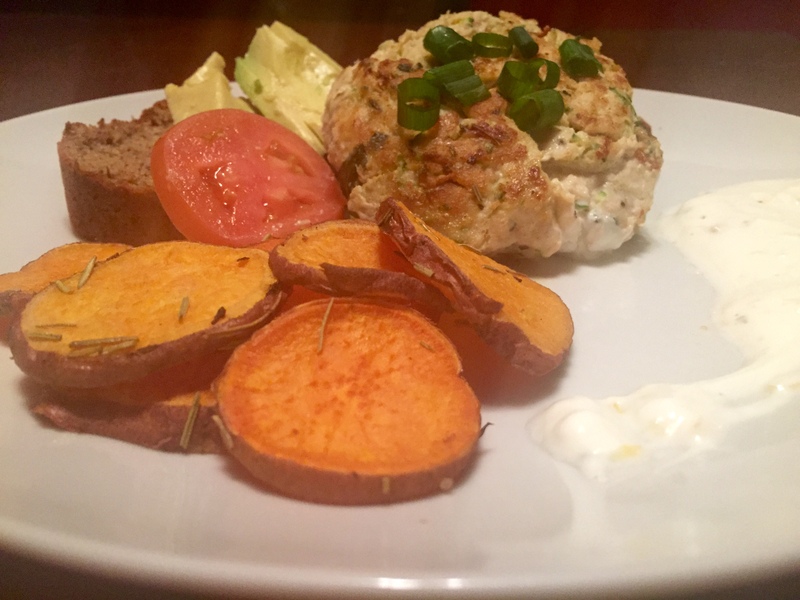 I found the recipe for the sweet potato chips on Paleo Grubs. 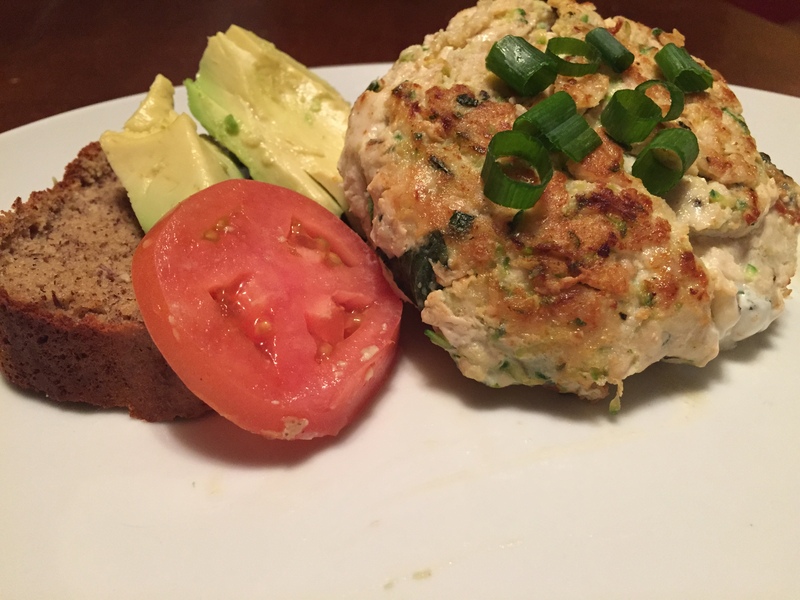 I originally made the paleo bread – the last recipe I posted – thinking I could serve the burgers on it. That was a no go, but let me tell you – this burger needs NO bread!!! I served it more as an open faced sandwich with the paleo bread, but you don’t even need the bread!! I found the burger recipe on The Iron You and adapted just a tad – adding in green onions instead of scallions, but you might want to try scallions or onions. I garnished with avocado and tomato and a little more green onions. So fresh, and SO good, and makes GREAT leftovers!! Preheat oven to 375 degrees F. Peel (optional – I didn’t peel mine!) sweet potatoes and slice thinly, using either a mandolin or sharp knife. If you want them more like mine – just slice a little thicker than a chip. In a large bowl, toss sweet potatoes with coconut oil, rosemary, and salt. Place sweet potato chips in a single layer on a rimmed baking sheet covered with parchment paper. Bake in the oven for 10 minutes, then flip the chips over and bake for another 10 minutes. For the last ten minutes, watch the chips closely and pull off any chips that start to brown, until all of the chips are cooked.